Hundreds have suffered minor to moderate injuries as a result of last night’s controversial episode of Police Ten 7, a police brutality special that showcased the darker side of New Zealand law enforcement. The long-running show, which typically follows friendly police officers as they cordially dispense justice to yobbos and mad buggers, took an abruptly dark turn Thursday evening, instead showcasing officers abusing their authority in an often violent manner. 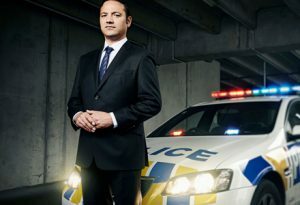 “Police Ten 7 has been a staple of our programming for many years,” said TVNZ content director Jeff Latch, “but even with a proven formula, we believe that educational shows like these still need to occasionally challenge audiences to think differently about the material they’re being presented. Host Rob Lemoto opened last night’s episode with a dramatic monologue. “Tonight we follow our officers as they engage in behaviour that will shock and enrage our viewers,” he said. “It is outrageous behaviour. It is unacceptable behaviour. It’s an abuse of power that knows no bounds, and tonight, I am frankly disgusted by the actions of our men and women. “It makes me furious that these kind of inhuman actions could be conducted for ratings purposes. The episode featured numerous contentious interactions between police and suspects of minor offences, in which many were injured, both physically and emotionally, by pushing and shoving, swearing and threats from officers. In one incident, Officer Wilson Barry violently assaulted a speeding motorist by hurling him through his own windshield. He calmly explained his actions to the camera afterwards. “So what I’ve just done here is I’ve pulled him over for a routine speeding ticket,” said Barry. “He was exceeding the limit by about 12 or 13 kilometres. I’ve had a little chat with him, he understands he needs to be more mindful, then I’ve lost my temper and I’ve put his head through the windshield.